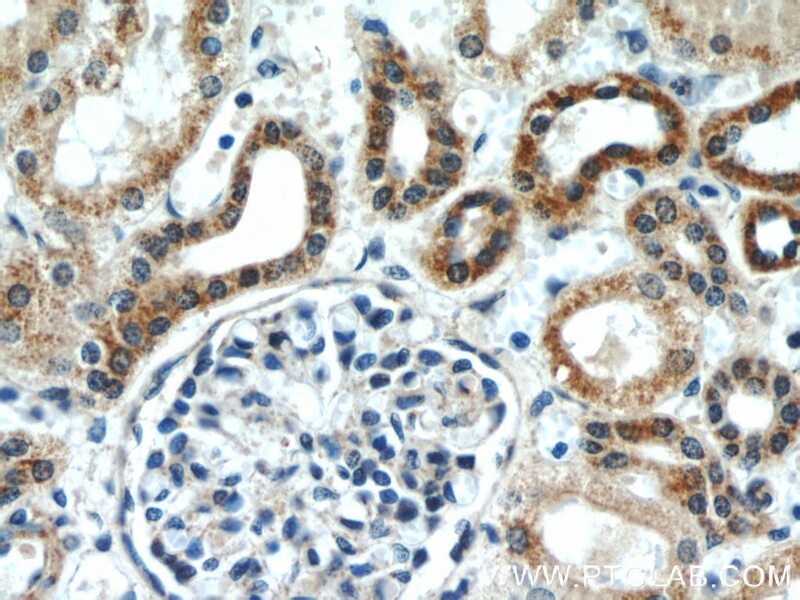 Immunohistochemical analysis of paraffin-embedded human liver tissue slide using 16443-1-AP( ERK1/2 Antibody) at dilution of 1:200 (under 10x lens). 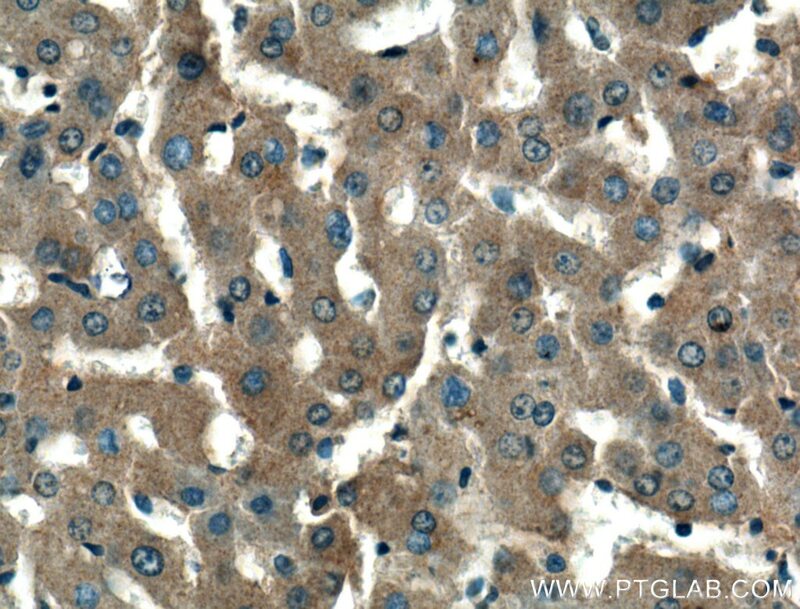 Immunohistochemical analysis of paraffin-embedded human liver tissue slide using 16443-1-AP( ERK1/2 Antibody) at dilution of 1:200 (under 40x lens). ERK1 and ERK2 belongs to the protein kinase superfamily. 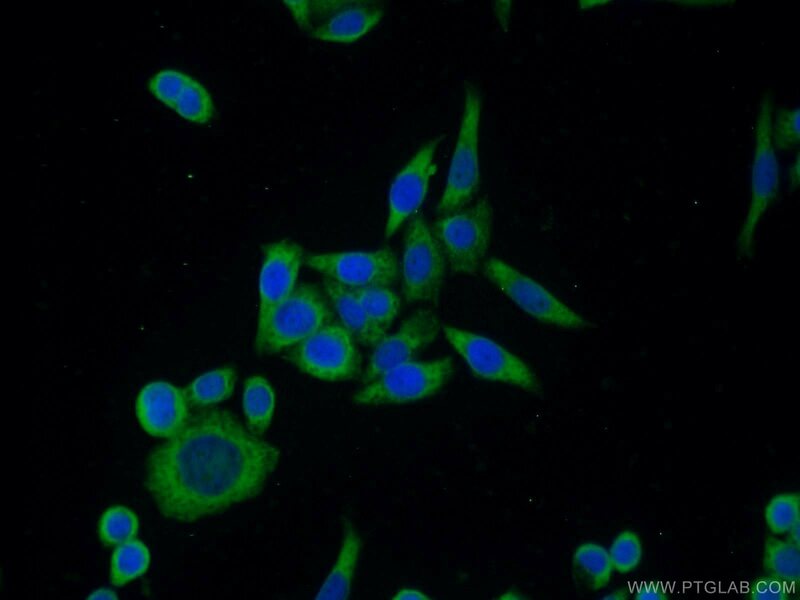 It is involved in both the initiation and regulation of meiosis, mitosis, and postmitotic functions in differentiated cells by phosphorylating a number of transcription factors such as ELK-1. ERK1/2 catalized the reaction: ATP + a protein = ADP + a phosphoprotein. 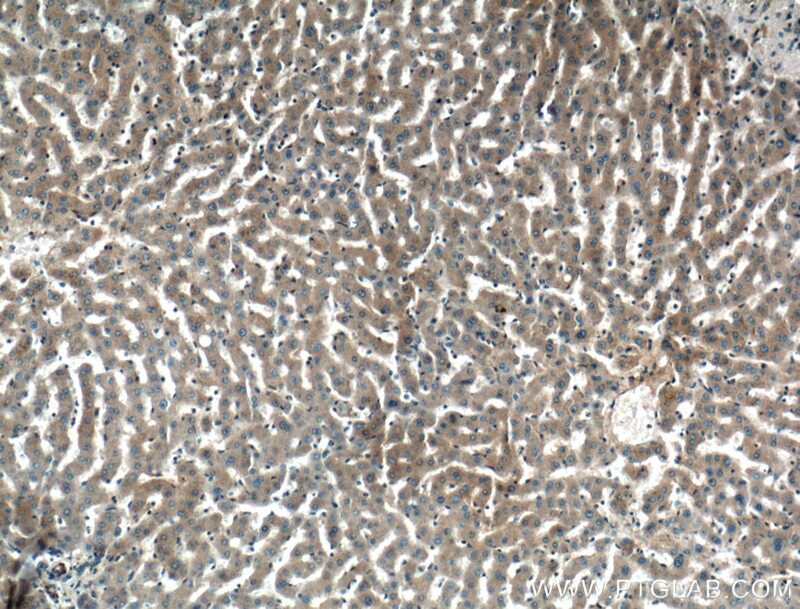 It is activated by tyrosine phosphorylation in response to insulin and NGF. 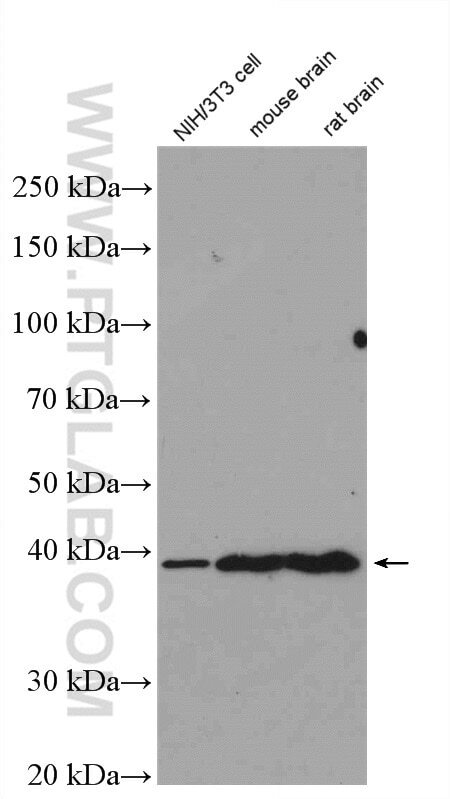 This antibody can recognize both ERK1 and ERK2 with the molecular mass of 38-43 kDa. Isoquercetin protects cortical neurons from oxygen-glucose deprivation-reperfusion induced injury via suppression of TLR4-NF-кB signal pathway. Inhibition of Melanogenesis by Gallic Acid: Possible Involvement of the PI3K/Akt, MEK/ERK and Wnt/β-Catenin Signaling Pathways in B16F10 Cells. Mulberroside a protects against ischemic impairment in primary culture of rat cortical neurons after oxygen-glucose deprivation followed by reperfusion. Neuroprotective effect of schizandrin A on oxygen and glucose deprivation/reperfusion-induced cell injury in primary culture of rat cortical neurons. 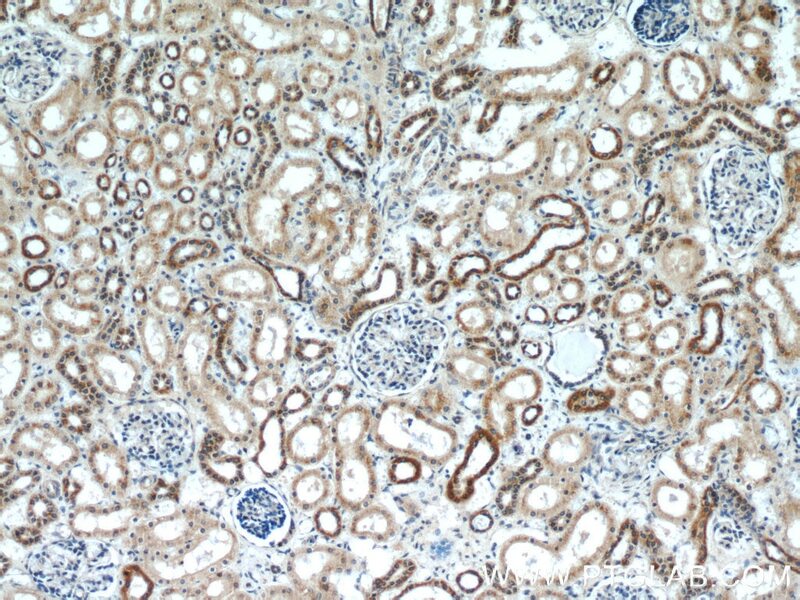 Ginsenoside Rg3-induced EGFR/MAPK pathway deactivation inhibits melanoma cell proliferation by decreasing FUT4/LeY expression.